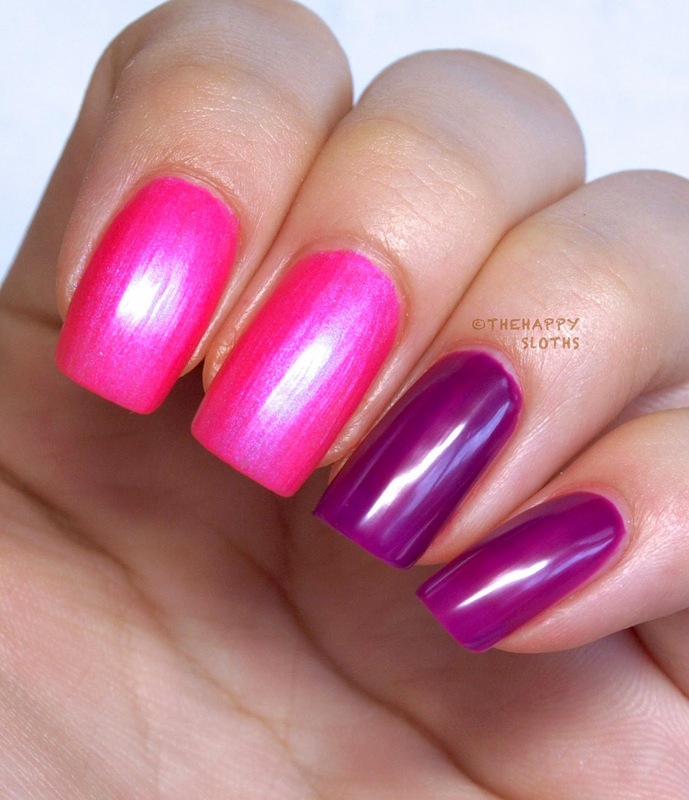 *All polishes were swatched on bare nails and no top coats were used. "This tangerine cream makes me jump for joy!" 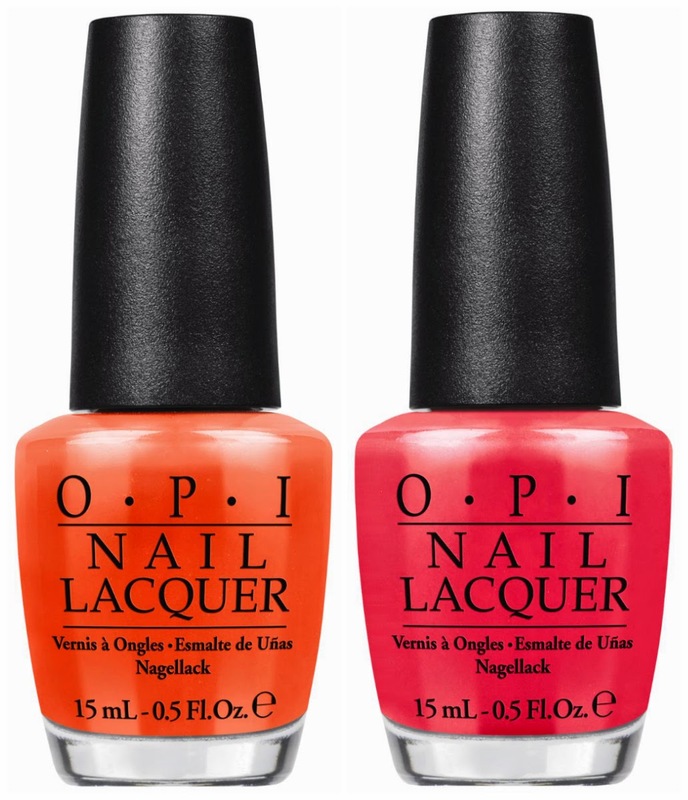 This one is a gorgeous retina-searing quintessential neon orange that's the perfect for summer. The formulation was quite good for a neon polish and as you can see, even without a base coat the color stood out like crazy. Three coats were used and the polish dried very quickly to a semi matte finish. "The beauty of this brilliant coral goes beyond skin deep." This one is a warm pink shimmer/frost polish with a very matte finish. The formula of this one was a bit lacking because it dried a little too quickly so the polish had almost no time to level and smooth out. I used three coats for the swatches below but a fourth would probably be appropriate. Because this one has some shimmer/frost to the formulation, a top coat should probably be used to bring out the dimensions. Three coats of each were used; no top coat. "This citrusy lemon-lime hits the spot every time!" This one is a very unique cool tone greenish yellow with a matte finish. The formulation is a bit sheer so I had to use four coats to achieve the opacity in the photo. However, the polish dried quite quickly so applying four coats wasn't all that troublesome. 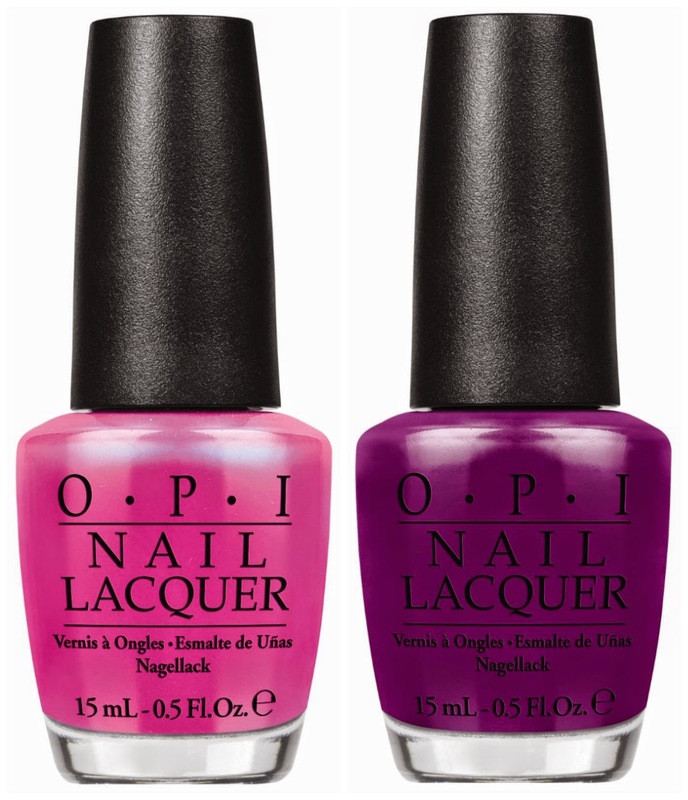 Do be aware that this polish stains so wear a good base coat! "Here comes trouble and she’s wearing this outspoken lime green!" This one is another very unique neon green that leans a bit blue. Formulation wise it is very similar to Life Gave Me Lemons so I had to use four coats as well. But like the previous one, it dried very quickly and had a matte finish. I did a little stamping over these two colors so keep an eye out for that look next week! Four coats of each used; no top coat. "Just when you think pink can’t get any hotter, there’s this!" If you thought Juice Bar Hopping was bright, then check out this one! Wow.... just wow! This one is a hot pink with a semi-matte cool tone frost finish. Probably my favorite out of all six, Hotter Than You Pink is the neon-est neon I own. The formulation was quite good; three coats were used for full opacity and the drying time was very fast. 'This forceful purple has got me coming and going!" This one is a warm purple with a almost jelly like texture. The polish dried semi-matte but it looks very squishy. Three coats were used because the formulation is quite sheer for a purple this dark but the polish was very easy to work with and the drying time was good. So there you have it, all six shades from the new summer 2014 OPI Neon Collection swatched and reviewed. My recommendations from the range are "Juice Bar Hopping" and "Hotter than You Pink". Both the green/yellow polishes are quite unique so those are also definitely worth checking out! Which one is your favorite? Let me know in the comments below! Have a good Sunday! P.S. 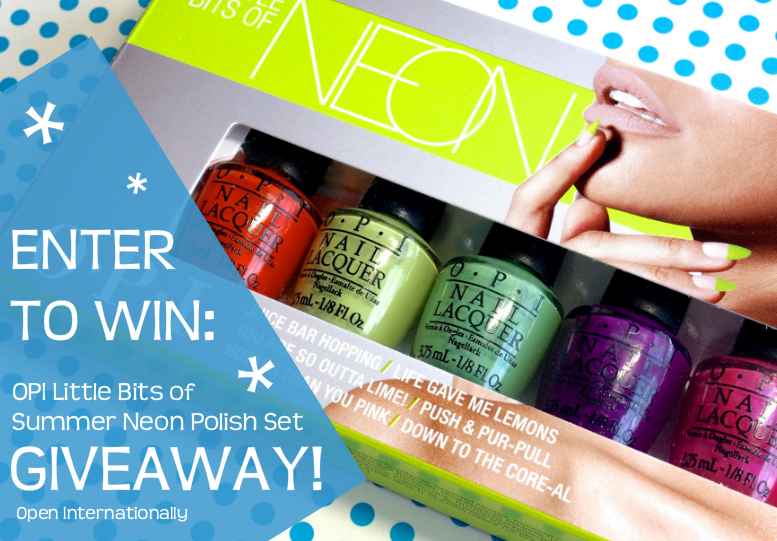 I am currently doing a giveaway for this set, open internationally, enter here. 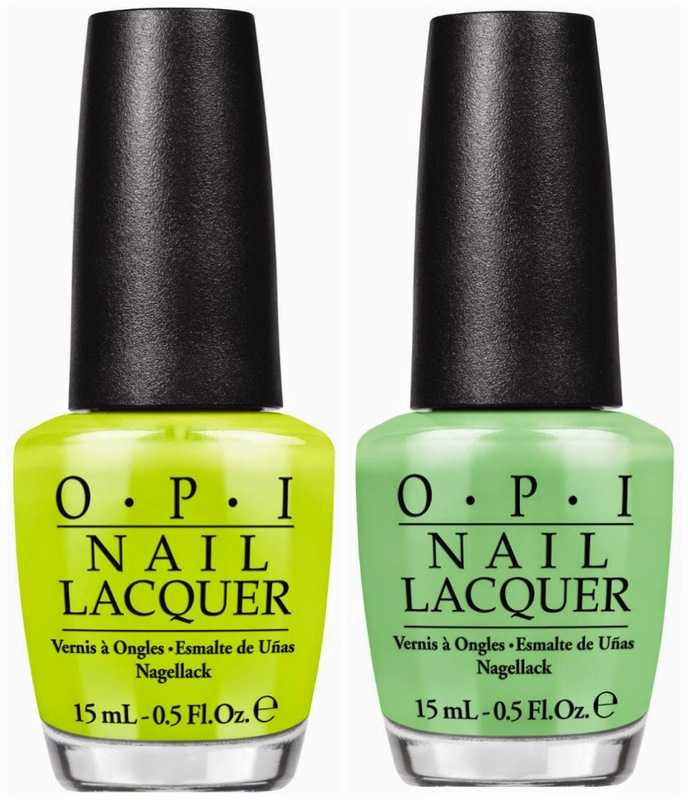 All six neon shades will be on sale starting May 2014 in on Nail Polish Canada and in salons and spas across Canada.